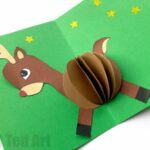 The fun with Paper Crafts continues! 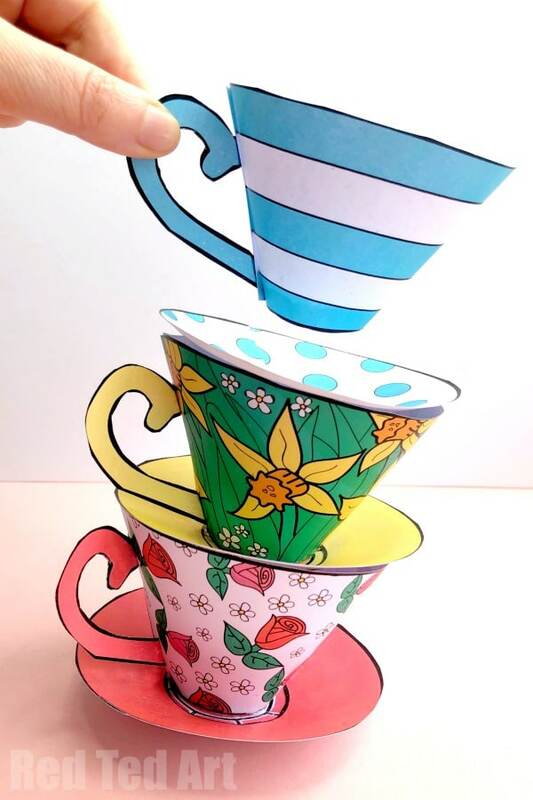 Many of you will be familiar with our free Paper Teacup Printable, that we have had on the blog for a few years! 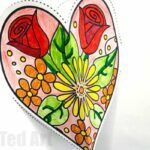 We have had so much fun with this over time, that I thought it woul dbe great to come back to these paper cups and revamp then.. not just revamp them… but turn them into a Mother’s Day Printable Craft!! 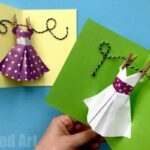 Learn how to make a Paper Tea Cup for Mother’s Day, with our adorable set of Mother’s Day Teacup designs. 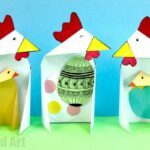 This is a collaboration with the fabulous Mrs Mactivity hop over for some more TEA-rific Mother’s Day fun! With thanks to Polly Love Design! 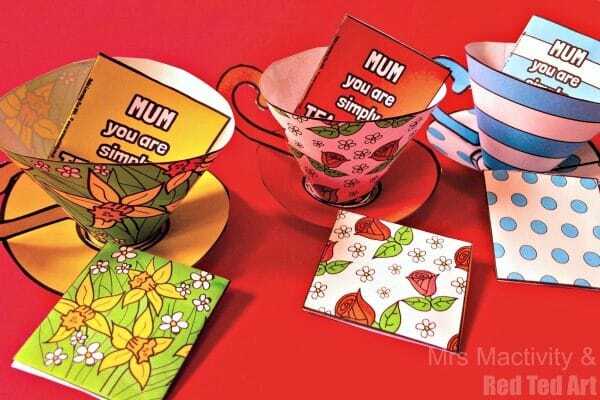 Choose from Rose Paper Teacups, Daffodil Paper Teacups or a fun and quirky stripy teacup set. The best bit? 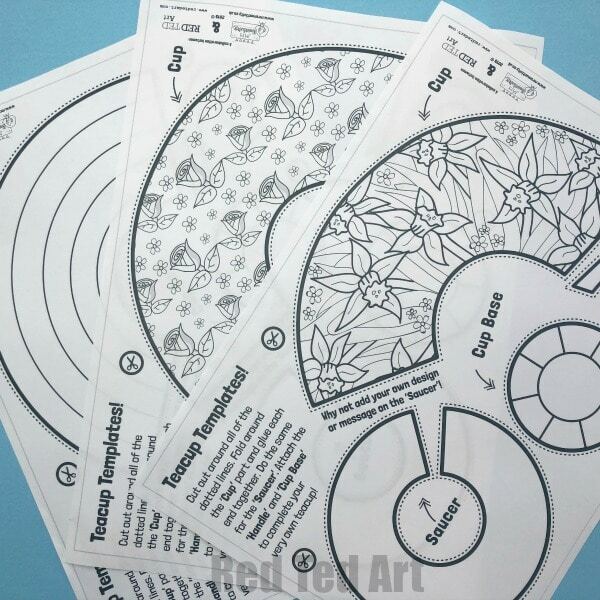 You can choose the “colour your own” patterns or ready coloured ones. 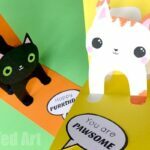 Oh which will you make? 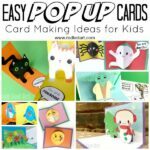 A total of 6 fabulous printables! 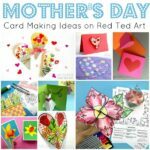 These pretty Mother’s Day Tea Cup Printables cost $3.50 on my teacher’s pay teachers store. You can get the “single” free Tea Cup Template here instead. 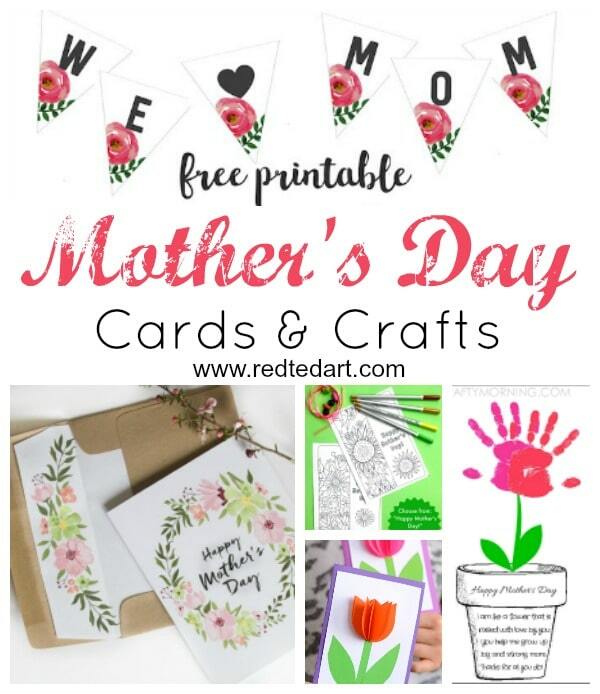 But I do think the Mother’s Day ones are goreous and totally worth it and come with printable instructions too. 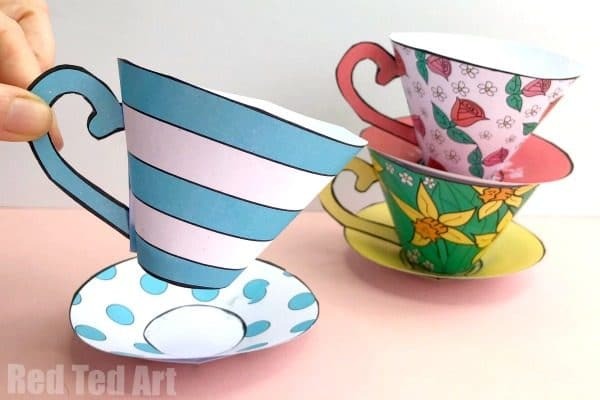 How to make a Printable Mother’s Day Tea Cup! 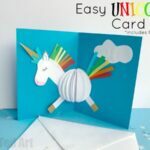 Note: if you require step by step photos – these are available as part of the teachers pay teachers worksheet printable pack! Choose your design and color it in! Add glue to one edge of the saucer and fold the other edge over to secure. The saucer will now have a 3d curve to it. Cut slits into the saucer base. You can choose to flip the saucer base over or glue it with the markings facing up. Here we flip it over. Add glue to the back of the flaps and secure to the bottom of the saucer. Add glue to one edge of the cup and curver round. Hold in place to secure. Time to make the “base” of your cup. Take the second smaller circle. Cut the slits. Flip over. Add glue to the flaps and secure to the base of your teacup. Finally, make two folds into the teacup handle add glue and secure to the cup. You can choose to make the handle double sided by gluing the two handle pieces together first. Or keep it simple by choosing your “left” or your “right” handle. 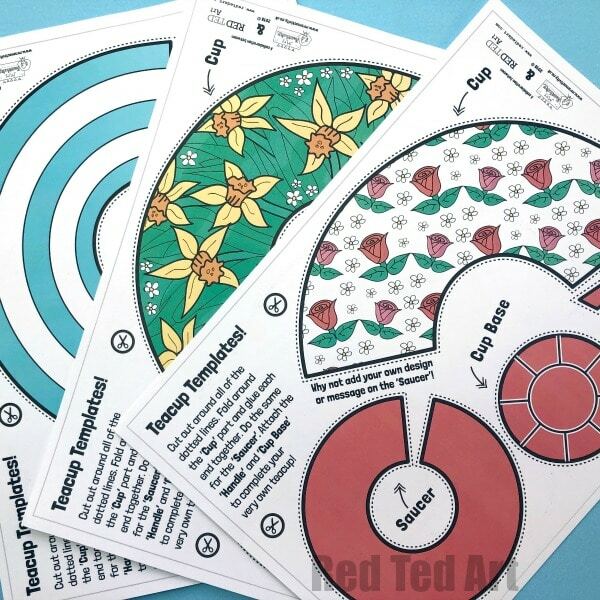 Why not visit Mrs Mactivity and grab yourself some matching printable Teabag Holders too? !